Mission: Cure was founded in 2017 by Megan Golden and Eric Golden as they struggled to find treatment for Eric’s pain from chronic pancreatitis. Soon after, Linda Martin joined Megan as co-director of Mission: Cure as she also struggled to find treatment for her daughter, Amy, who was suffering from unrelenting pain and nausea of chronic pancreatitis. With limited research funding, a lack of understanding of the disease, no effective treatments or even a drug development pipeline, chronic pancreatitis patients like Eric and Amy face a life of pain and suffering from the continuous progression of the disease that leads to diabetes, other serious digestive disorders and a much greater risk of pancreatic cancer. Megan, Eric and Linda did not accept this dire prognosis. They knew that a well-funded, focused approach could lead to effective treatments and ultimately a cure. 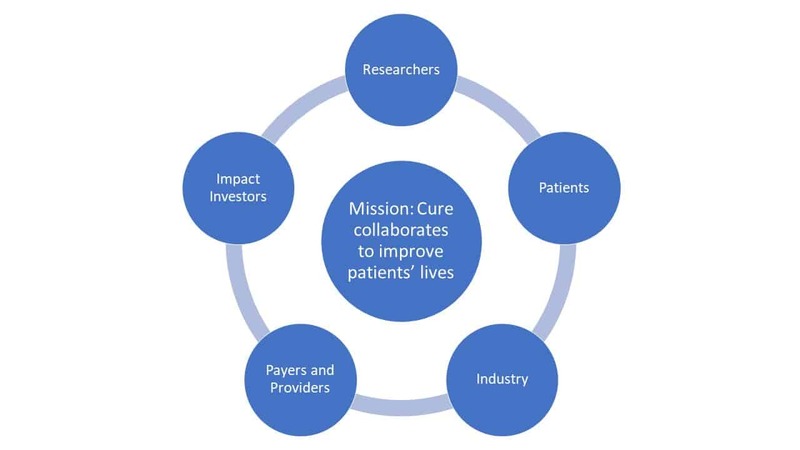 With seed funding from the National Pancreas Foundation and fiscal sponsorship of Cures Within Reach, Mission: Cure was born, and today supports a growing community of patients, families and other supporters, driving new research and creating hope for improved quality of life.